If you've missed any of the previous posts, there are links to them all at the end of this post. 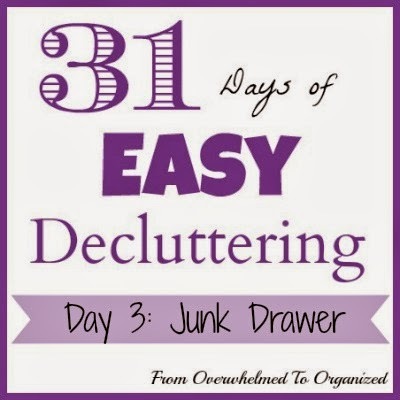 Today we're decluttering junk drawers. Or as I like to call them: multi-purpose drawers. Others call them everything drawers. I mean why are you keeping "junk" in a drawer? Everyone's got at least one of these drawers. Filled with all kinds of stuff. Things like tools, chargers, stationery, stamps, pens, pencils, coupons, elastics, paper clips, take-out menus, batteries. You know what I'm talking about. Having a drawer like this is a good thing if you keep it organized and purged. It gives you quick access to lots of little things. But when you have a drawer that's filled with a variety of stuff, it tends to collect other stuff... and it can quickly become cluttered. Then you can't find anything in it and end up running all over the house searching for something you need. These drawers don't need to be a cluttered mess! 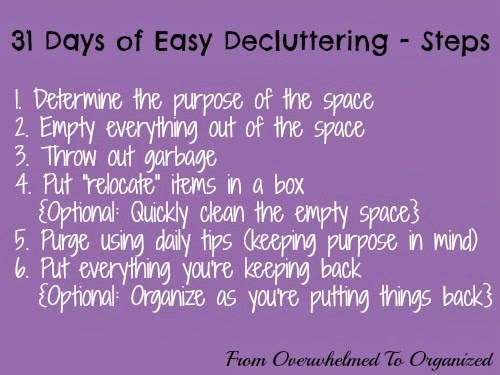 So let's declutter junk drawers today! I love this sign! 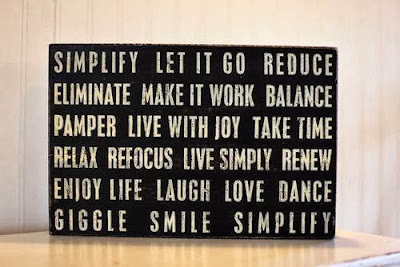 The words on in remind me of why I want a less cluttered home. And a less cluttered junk drawer. 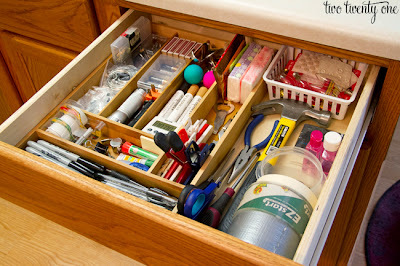 Just doing those 2 things will likely already get rid of a lot of things from this drawer! Keep in mind the location of this drawer when deciding what to keep in it. Typically junk drawers take up prime real estate in our kitchens, so they should contain items we need quick access to on a regular basis. 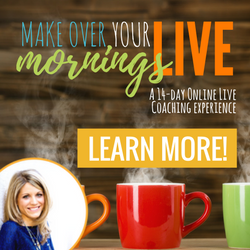 What you choose to store in your everything drawer is entirely up to you! 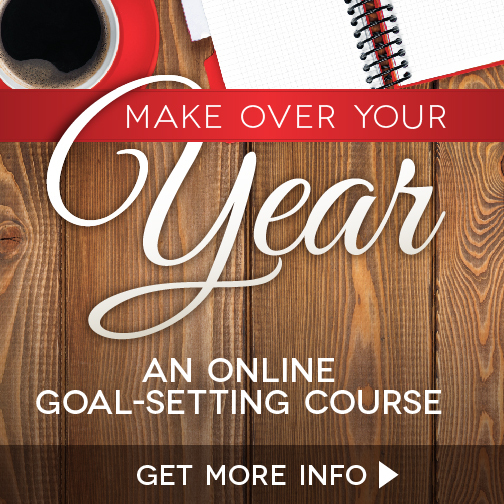 But defining what you want to keep there and what you don't will help keep your drawer from becoming a cluttered mess in the future! The easiest way to keep your multi-purpose drawer from becoming cluttered again is to divide the different categories within the drawer. That helps remind you what you've determined the purpose of the drawer to be and what items should and shouldn't be stored in it. You can buy all kinds of drawer organizers. Like these clear acrylic ones. I love the labels too! You can also repurpose cutlery organizers like this bamboo one. You can also use plastic desk drawer organizers to keep the contents of your drawers separated. *Please pin from the original source if you choose to pin this picture. If you want to pin this post please use the button at the top. 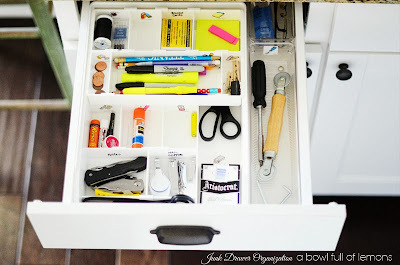 For ideas on how to organize your junk drawer, you'll find a bunch on my Kitchen Organizing board. 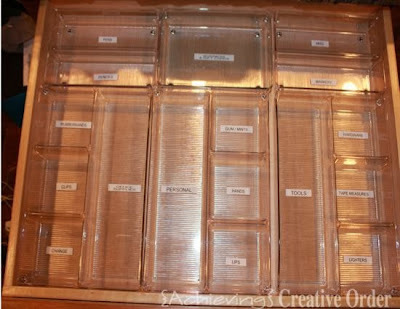 And for DIY drawer organizer ideas, take a peek at my DIY Organizers board. 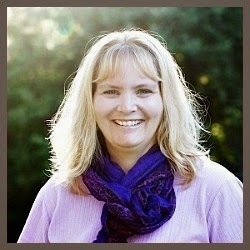 For cleaning tips you can check out my Cleaning & Cleaning Supplies board. What's the craziest thing you found in your junk drawer? Any purging tips I missed for multi-purpose drawers? I think my junk drawer is doing pretty well since I reorganized it about a year ago. I bought a battery organizer which was smaller than I'd hoped, but still works well, plus a few dollar store baskets to organize the odds and ends that need to stay there. Thanks for the tips! I might give my junk drawer another peek. 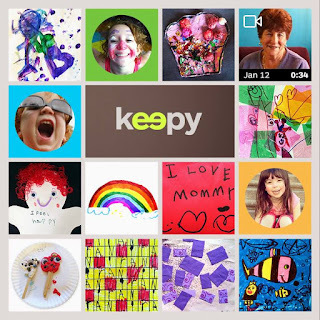 Also I wanted to say that I LOVE the new picture of you in the right column. You look fantastic and I am super jealous of your scarf wearing savvy. 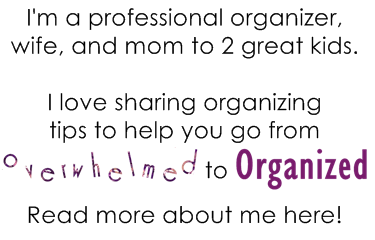 Organizing definitely helps keep things from getting cluttered again Melissa! Although some regular maintenance is good too since our needs are always changing. Good job with your drawer!